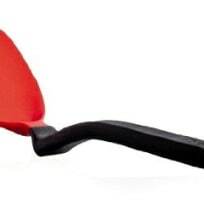 Liiiiike, the kind that doesn’t cut the inside of your MOUTH OPEN. Really. 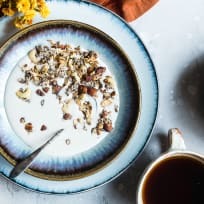 What did we ever do to granola that it would be so mean as to rip open our insides as we unsuspectingly munch through it, trusting that it has our best interests at HEART? It’s ALMOST as bad as Captain Crunch. ßDon’t lie. You KNOW that you know the exact cereal-mouth-pain that I am talking about. Anyway. This low carb granola recipe is NOT that kind of granola. It’s crispy and CRUNCHY, yet not sharp and OUCHY. It’s perfectly sweet and CLUSTERY-Y, yet is totally SUGAR FREE and GRAIN FREE. Yeuuuuup. 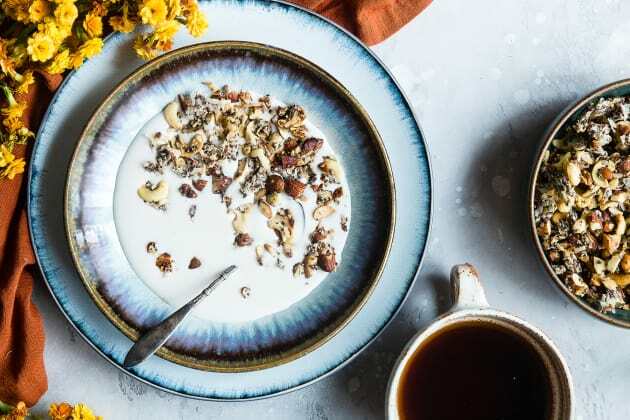 Granola without grains is a really thing that exists in your hungry-morning-breakfast-eater life and this sugar free granola recipe proves that it’s JUST AS DELICIOUS. 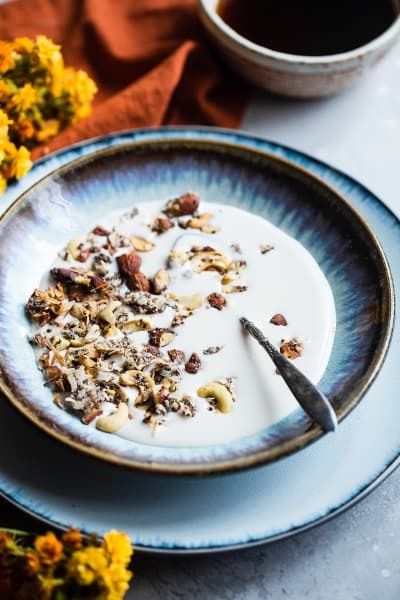 Unlike a coconut granola recipe, that boasts a mega load of oats, T-H-I-S grain free low carb keto granola uses NUTS and SEEDS to give it that addicting, CRAVE-ABLE CRUNCH that any normal, granola-eating person expects when they stack it HIGH on their morning bowl of yogurt. 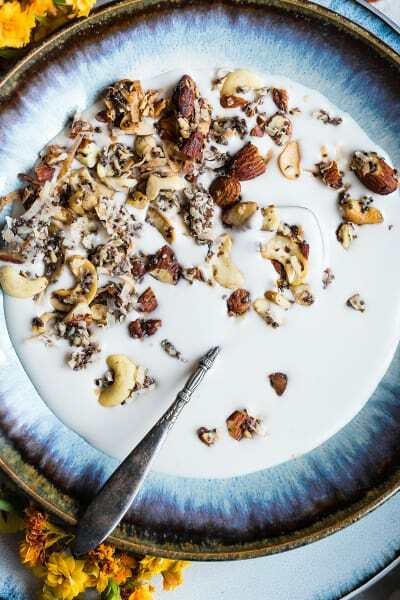 Your inner texture freak is SRSLY not gonna know that ANYTHING is awry and that no oatmeal was used in the making of this sugar free granola recipe. Not that I have anything against oatmeal. I could eat funfetti protein overnight oats or cookie dough overnight oats for A LOT of breakfasts. But, sometimes a girl just needs to switch it UP you know? 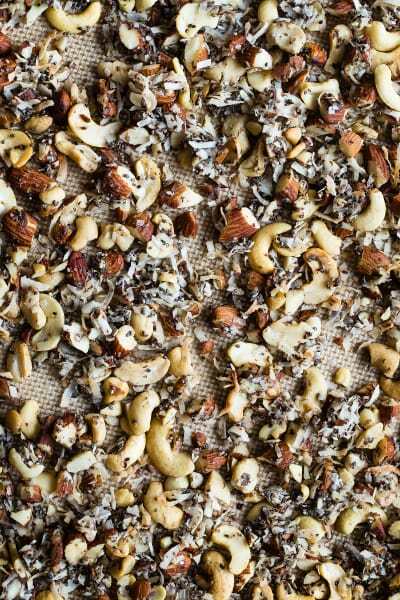 Punchy, flavorful coconut flakes, heart-healthy, roasty cashews and almonds, crunchy, good-for-your-gut chia seeds and a nourishing swirl of creamy coconut oil jive along to the breakfast beat, mixing and mingling with the flax egg and baking up to golden-brown, roasty yumminess, in a way that is going to make you RLY RLY excited to be eating nuts and seeds. AKA: BIRD FOOD. Liiike, if this is how birds eat? SIGN ME UP. 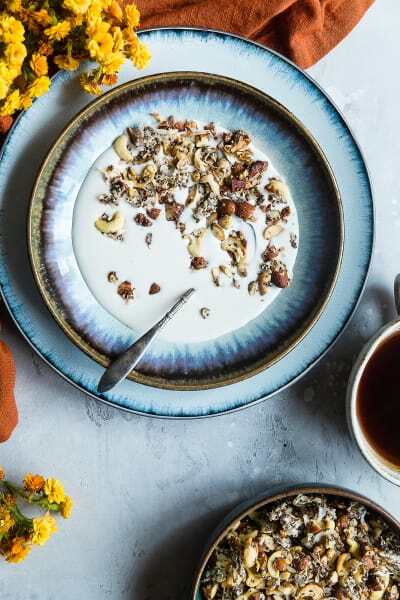 The “flax egg” is the secret weapon to getting this grain free low carb keto granola to form those coveted big, CRUNCHY, clustery pieces of magic. It helps everything stick together JUUUUUST so. Real life talk: do you really trust granola that doesn’t have clusters? Exactly. You do not. 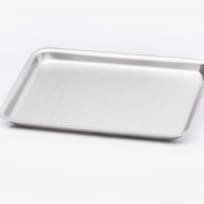 Make SURE you push a few pieces together during the bake-stir-bake-stir-bake-stir (annoying? Yes. Necessary? Very.) situation that the recipe calls for. This will ENSURE you cluster SUCCESS. Insider secret for winning the “crunchy granola” championship: put the granola into the refrigerator once it’s cooked. This hardens the coconut oil leading to hitting the crispy MOTHERLOAD. ß You don’t have to keep it stored in the fridge for ever and ever. Just until the coconut oil does it thang. Things to note: the inner part of my soul that loves chocolate RLLLLY wanted to mix some chocolate chips in (post baking, of course) but, due to many of you doing the “sugar free” thang, I quieted that voice. If that is not you, that suggestion comes HIGHLY, well, SUGGESTED. But, if you are a sugar-free person and chose to forgo the chocolate, we can still be internet BFFs. That just means more chocolate chips left in the world for ME. 3 cheers for CHAMPIONING breakfast. No cut-up mouth business required. 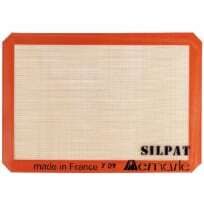 Preheat your oven to 350°F and line a baking sheet with parchment paper or a silpat. Place the flax meal in a large bowl and whisk in the warm water. Place into the refrigerator for at least 15 minutes so the flax meal can begin to gel up and thicken. Once the flax has chilled, add in the monkfruit and coconut oil and stir together. The coconut oil won’t mix in smoothly and will start forming small chunks, that is normal. Add in all the remaining ingredients and stir until the flax/water mixture coats everything. Bake another 10 minutes and repeat. Finally bake another 5 minutes and then check for done-ness. You want the granola to be VERY golden brown when it’s done cooking, although it won’t feel crunchy yet. This could take another 5-15 minutes, so watch it in the last few minutes of baking. Once done, let cool to room temperature on the pan. Then, transfer to an air-tight container and place into the fridge to cool and crunch up completely! 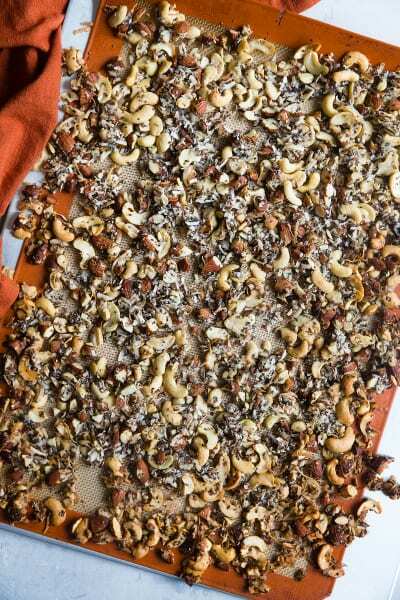 Once chilled in the refrigerator, you can store the granola at room temperature as it will main it’s crunchiness.